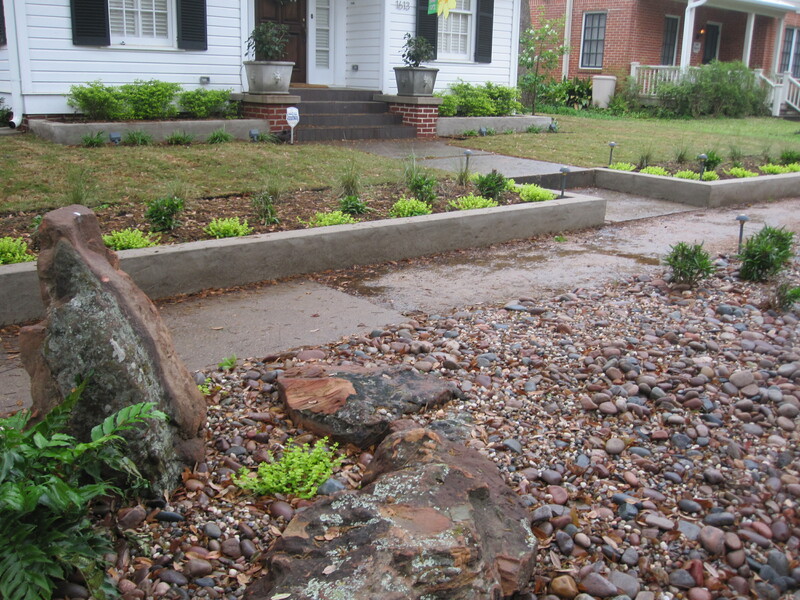 Front yard becomes more modern with lots of curb appeal. An older bungalow in Montrose. 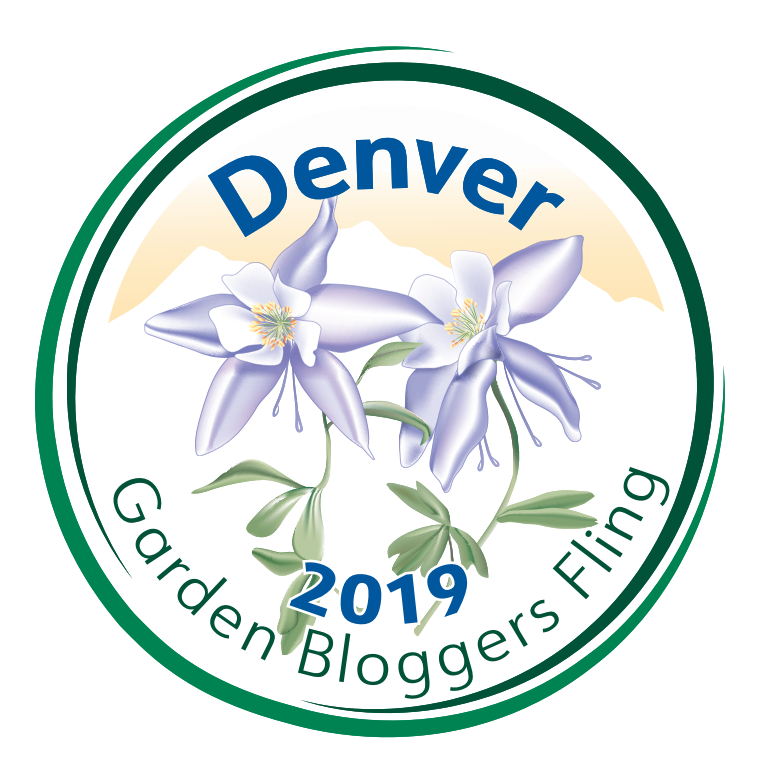 This is the 3rd post from the same home I posted about in “What to do in a shady Right-of-Way with big trees?” and “Flagstone path/dry stream bed meandering thru serene side garden.” Today I will walk you through the front garden design and install. We installed this project last February. 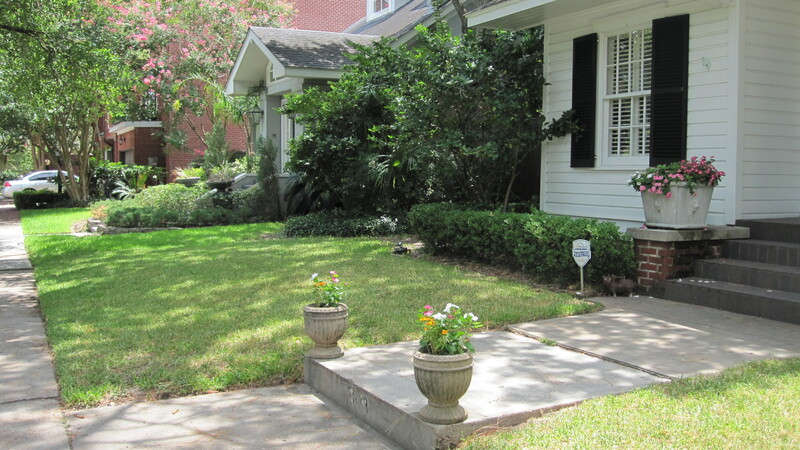 The front garden was quaint and simple. The owners wanted to bring it up to date and give it a more modern feel and curb appeal. 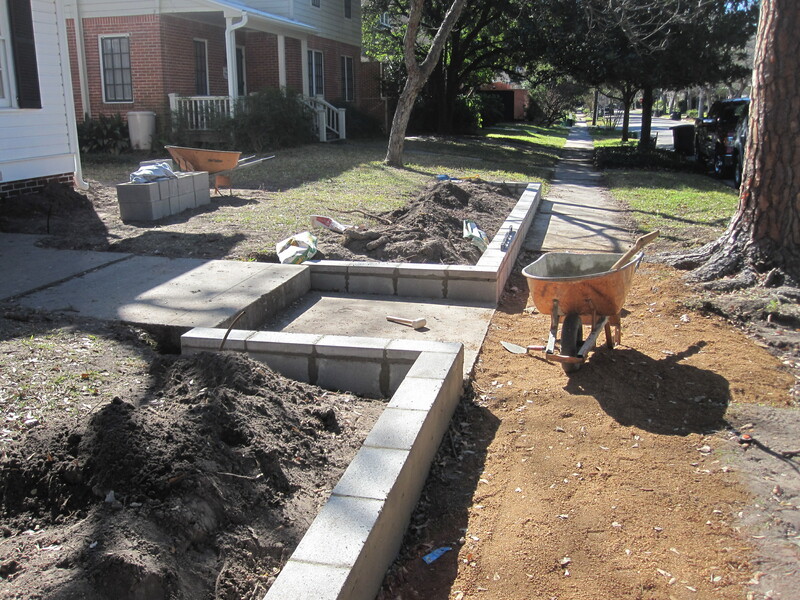 We added a retaining wall at the sidewalk to make the grass area flat. 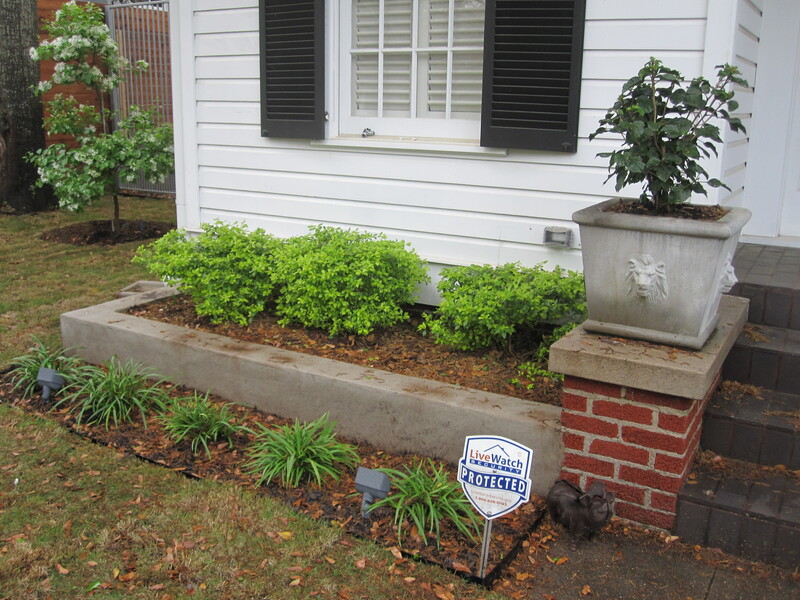 We created a bed right behind the wall with low plantings that are easy to maintain. 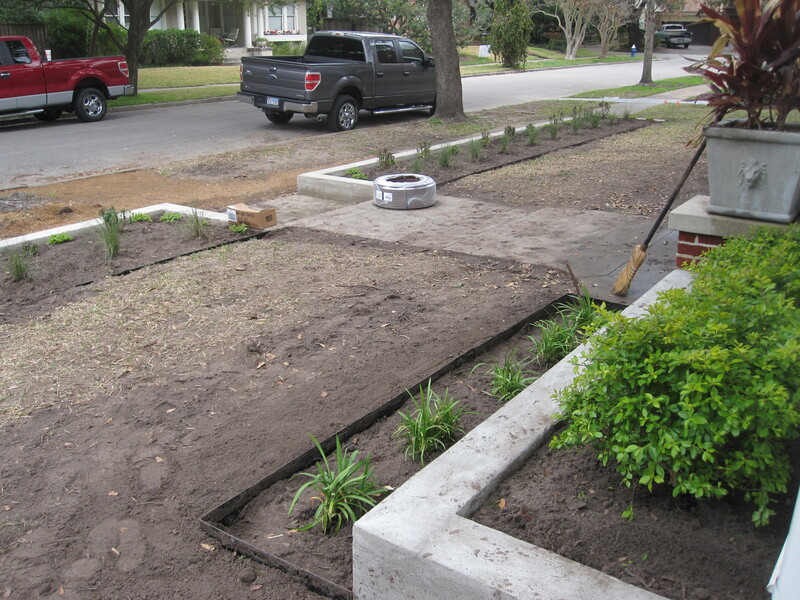 Next to the house we built a raised flower beds to repeat the design element and add some height to the front. 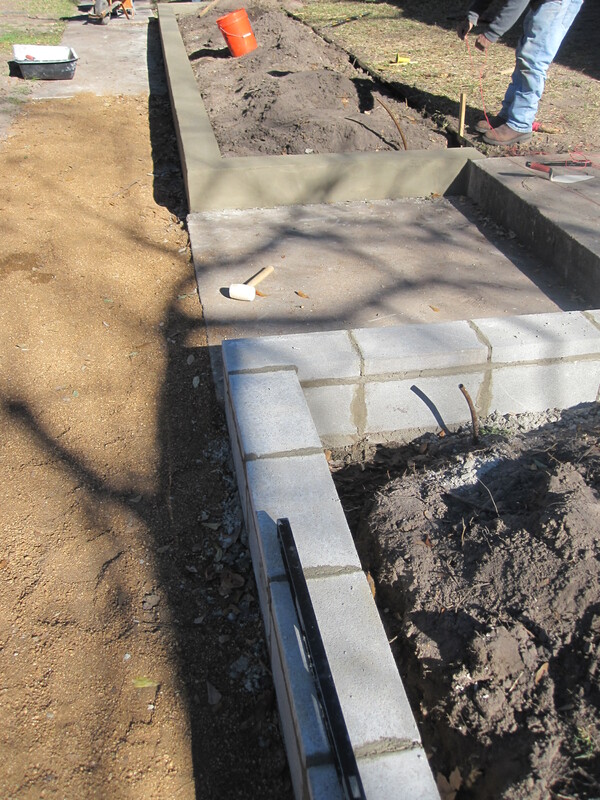 Working off the existing step up to create the low retaining wall made it look as if it had always been that way. Keeping the original path to the house saved money. 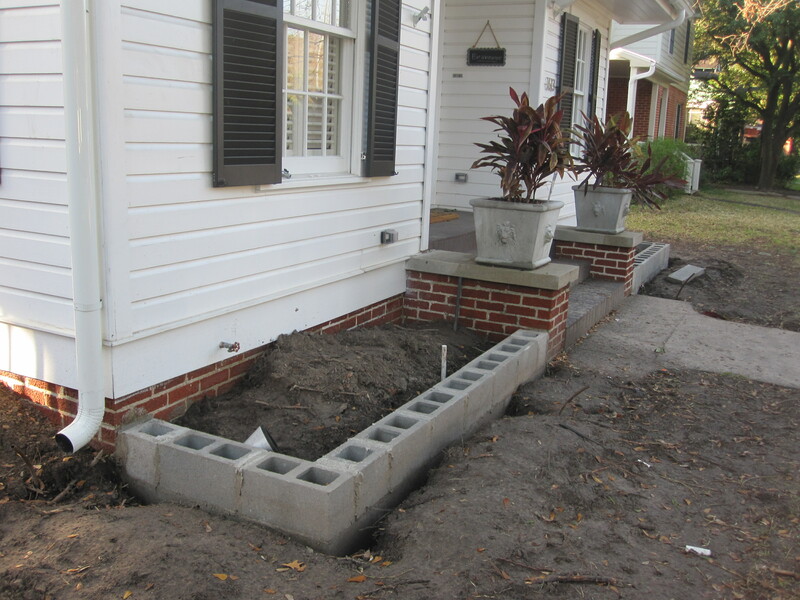 We needed to replace the broken side walk so we removed it prior to constructing the low retaining wall. The cement walk had cracked from the roots of the two large trees in the right of way. We suggested using decomposed granite to replace it because it is easier on the tree roots and easy to patch when new roots push up. 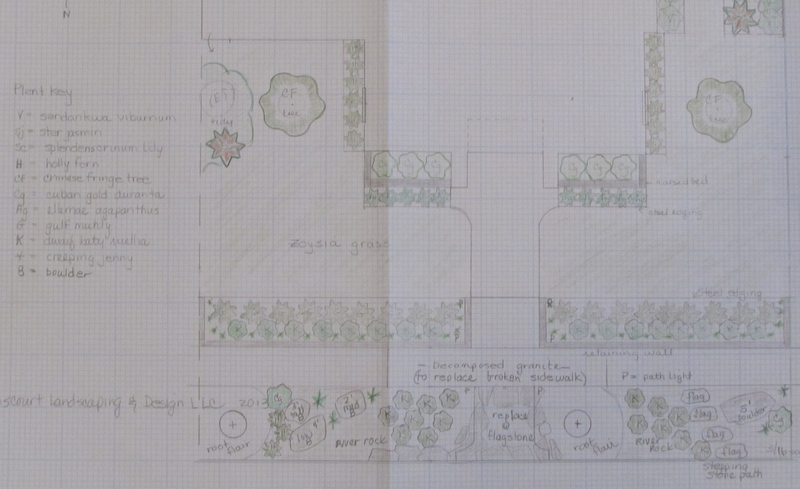 Design for front garden and right of way strip. Skim coatings the cinder block gives a nice consistent finish. Setting out plants getting ready to plant. 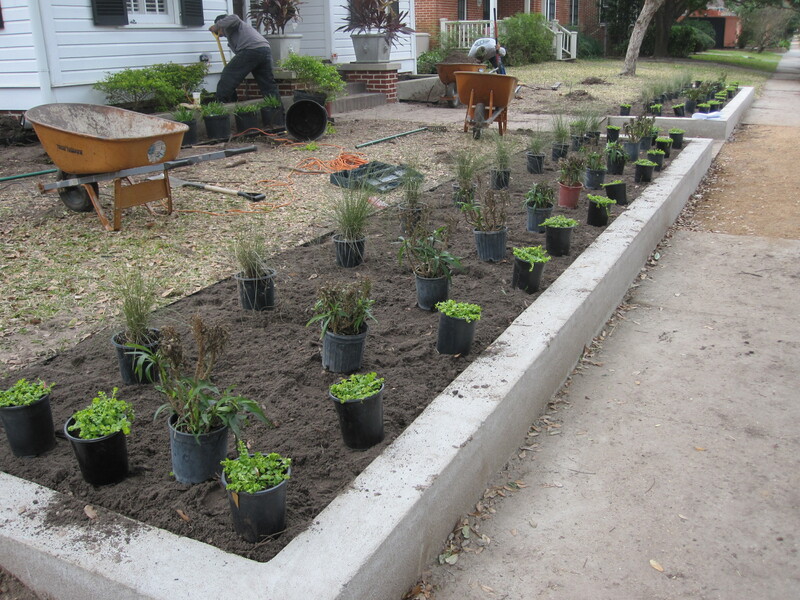 Plants are set out according to the design before planted. We used Gulf muhly grass for the back row, in the middle is Dwarf Katy Ruellia and surrounding the bed is Creeping Jenny that can cascade over the wall and fill in the bed. View to street over raised bed. We irrigated the entire property using only drip tubing in the beds and the only spray heads are for the small front lawns and the micro-sprays in the potted plants (and the right-of-way where we wanted to make sure the trees got plenty of water). We replaced the lawn, which was pretty much gone by the time we finished our hardscape and plantings, with Zoysia grass. This was at the request of the owners, they prefer its finer texture and more esthetically pleasing look over our normal St. Augustine grass. The raised bed next to the house fits neatly into the pillar and the bed matches the cap stone. We planted Cuban gold duranta next to the house. It is very shade and fairly frost tolerant and adds a nice pop of lime green to catch your eye. It will be kept trimmed in to a loose hedge. The lime green is repeated in the Creeping Jenny. This picture was taken in March after our last hard freeze. The ground level plants are Ellamae Agapanthus. You can see up lights we installed that shine on the house to illuminate the front for security. We installed FX Low Voltage lighting with LED programmable and dimmable fixtures. We had to wait for it to warm up before installing the Zoysia grass. A view across the right of way with the newly installed Zoysia grass. It had not yet greened up; it goes dormant in the cooler months. In the right corner you can see the Chinese fringe tree in bloom. Blooms on the Chinese fringe tree. After, nice crisp lines and shade tolerant plantings. 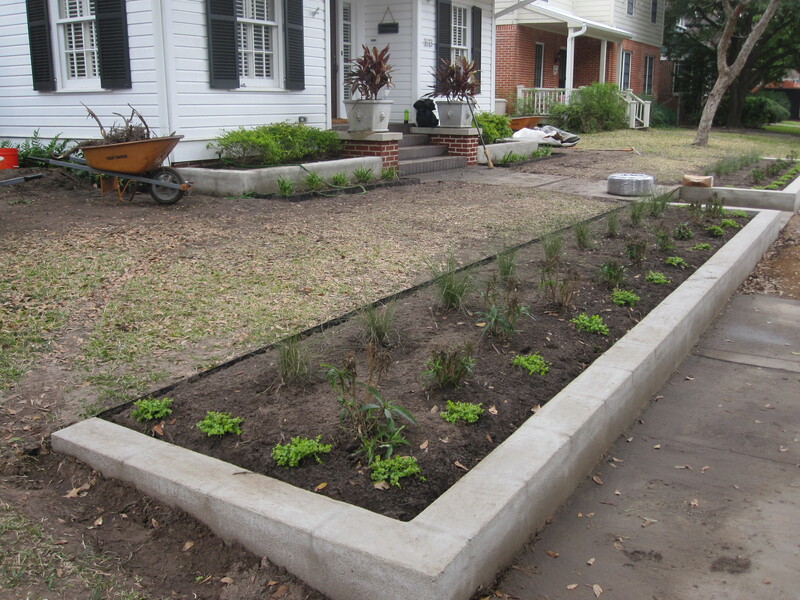 The clean modern lines created by the retaining walls really changed the feel of this front yard. 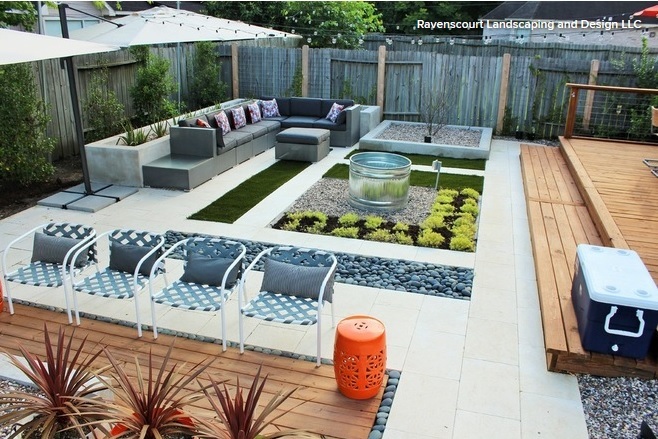 The zoysia grass adds to the modern look. Using a simple planting palate in shades of dark and light green with repetition also add to the sleek look. Behind the flanking Chinese fringe trees there are gates leading to a garden on each side of the home. To the east you will find a more modern hardscape with straight path that leads you to a large patio that abuts a deck. The other gate leads you to a winding river bed path meandering up to the other deck. There is no back garden but the two spacious side gardens offer plenty of room to walk or sit and relax. Rainbow gravel is used throughout to tie all the spaces together. Before we started this project the homeowners had all new fencing put in and trimmed up the tree canopy to let in more light. Next Monday I will finish my blogs on this project with the east garden. Does this modern look appeal to you? I love it, and I appreciate how you document each step. It’s going to look beautiful! I love it and the Chinese Fringe tree is just fabulous. Is it hardy? 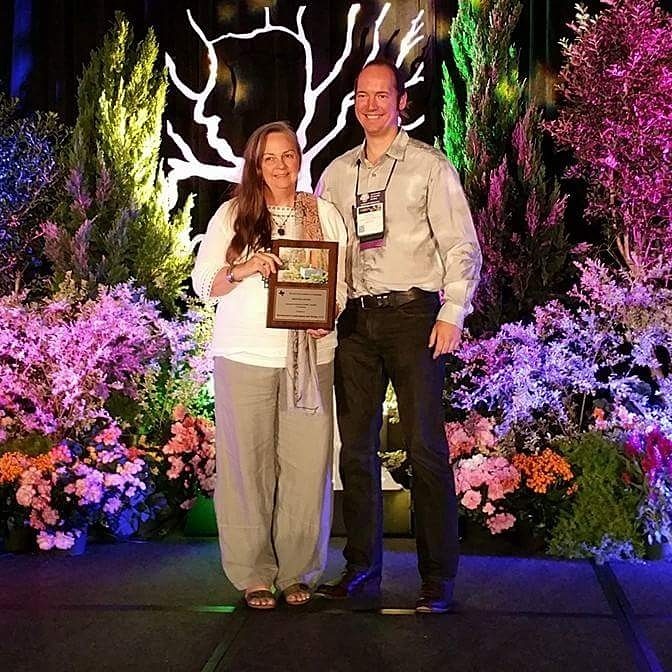 Yes Chloris…It is a small deciduous tree with a shrubby, spreading growth can reach 15′ – 20′ tall and 12′ to 15′ wide. I have watched them around Houston for many years and all seem to be fine. Not overly popular which I like. I think it makes a great focal point and is stunning in spring. Said to be one of the few trees that will come back and flower even after its first buds are nipped in a late spring frost. Hardy to Zone 6, 0 deg. F.
The clean lines and tying the walls in with the existing step and pillars is great. 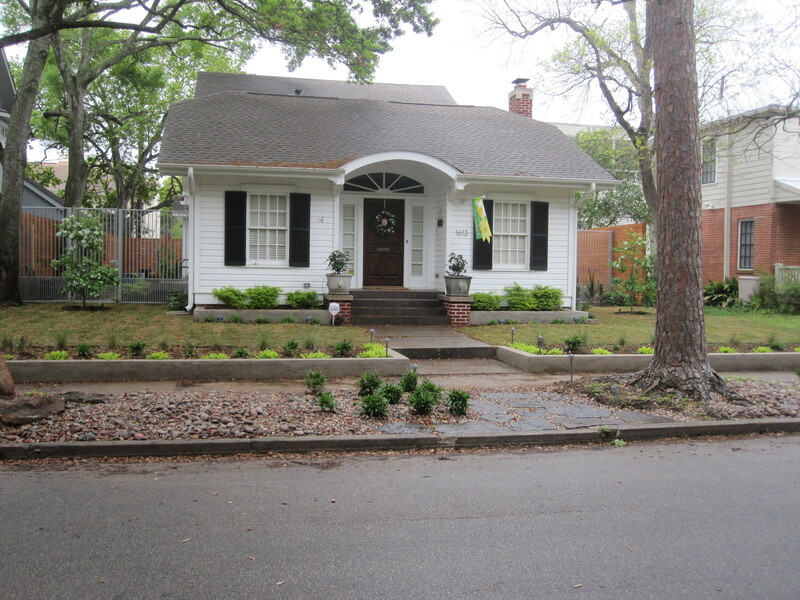 The front bed with all the nice plants is such an improvement over just the grass, and it would be fun to see it with the plants more mature and in bloom. Thank you Hannah! I will have to do an update, we will be going back a couple times a year to help with mulch and weeds. The owner is putting down organic fertilizer regularly which is really helping repair the soil. You did a great job of adding a contemporary touch which works with, rather than against, the traditional style of the home. You’re in the business of beauty and it’s always great to see the results of your work! Thank you Peter : ) This project was so rewarding! A huge improvement, I love the raised beds. 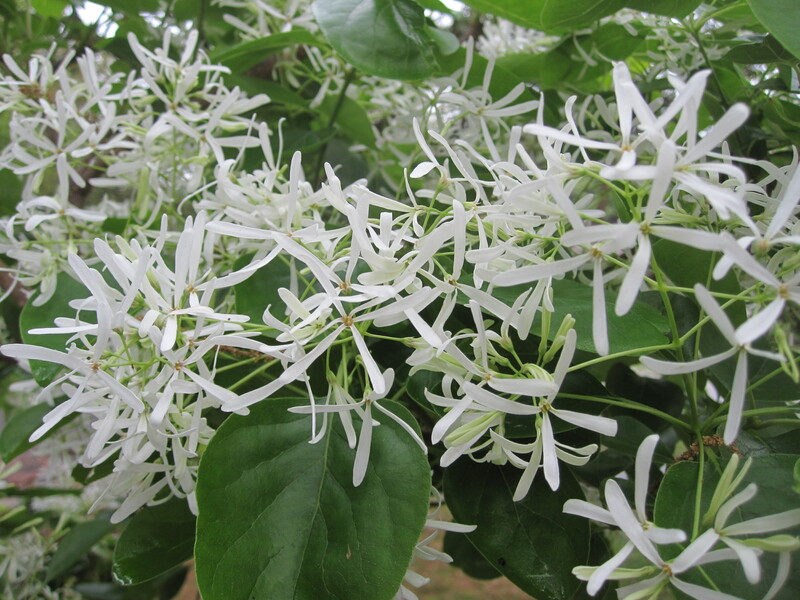 I have two American fringe trees, the flowers are more strappy than what you show.